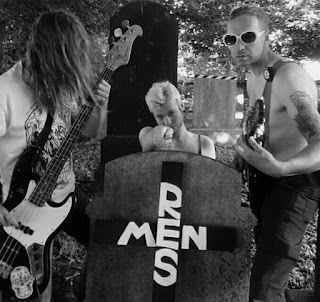 A DEVILISH evening of dark delights will grace 81 Renshaw Street as Liverpool rockers The Resurrection Men return with 'Rock Macabre'. The band will take over the blossoming coffee/record shop venue on Thursday, November 9 promising an unforgettable night ‘of horror and wonder’ on the evening of all things supernatural and superstitious. With dead roses for the ladies, sugar skull colouring competition, a bubble machine cascade, eyeball balloons, a dead rockers picture quiz and psychedelic projection - Rock Macabre has been described as 'the greatest rock'n'roll entertainment experience for the living and the dead'. The ‘shirtless power trio’ will then wow all with a blistering set of dark tracks influenced by the Cramps, Nick Cave and Black Sabbath. Spooky guests include Ivan Hell, Shallow Waters, Grazed and Pale Horse.